Since joining EHS Partners in 2000, Jim has led performance improvement projects in industries including insurance, consumer packaged goods, transportation, utilities and financial services. His nearly 40 years of business experience in leading edge improvement techniques has led to the development of EHS’ “Deep Dive” process analysis and improvement tool, an innovative and streamlined approach to achieve dramatic performance results. 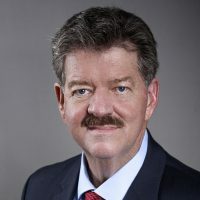 Prior to joining EHS, Jim served as Vice President of Total Quality and Customer Value for North American Van Lines (NAVL), launching and implementing their Lean/Six Sigma continuous improvement process. He then partnered with EHS to augment that success and lead an enterprise-wide improvement project prior to the merger with Allied Van Lines. Before his time at NAVL, Jim worked for over 20 years at Ingersoll-Rand, responsible for nuclear, military and commercial quality assurance processes. As Corporate Director of Total Quality Leadership, he drove overall product and service improvement to ensure the company’s top positions in markets served worldwide. Jim is a former member of the Board of Directors of British American Business. Jim earned two technical Associate Degrees from Johnson College in Scranton, PA, earning his BSBA from Concordia College in Bronxville, NY. He was the recipient of Concordia’s Academic Excellence Award.